I plan to have Johnson Rods installed, which will raise my Disco by 1.5". 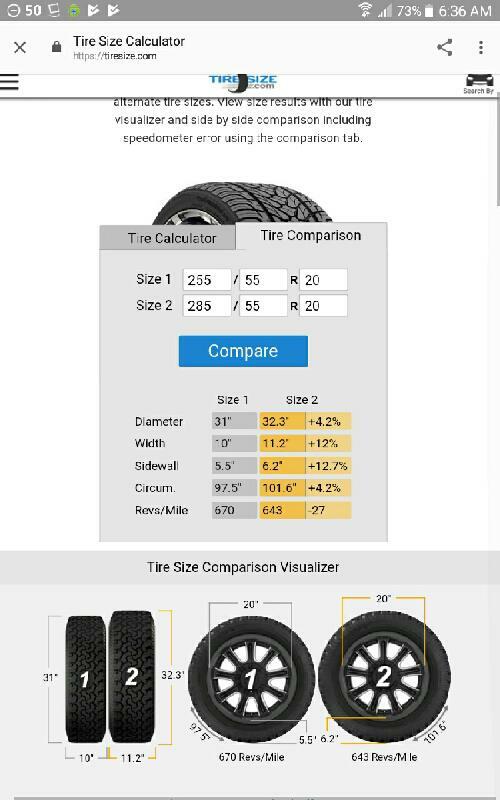 Would LT285/55R20 tires fit or would I have to settle for 275/55R20s? Also, would installing LT (Load Range E) tires, which are heavier and harder riding (but would be more robust for off-road use) have any adverse effects on the vehicle? 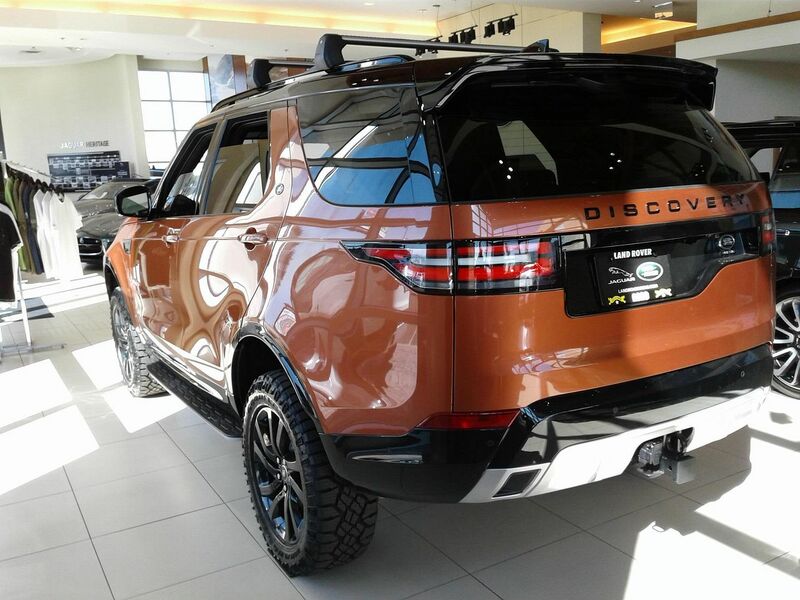 There will be no issue if you use LT285/55R20 since it will fit your Discovery. For sure, it will look good. The problem you'll face is the rock chips on the side of your disco because of your wider rim. I would be careful. The 275/55-20s leave maybe an inch of clearance at off-road height when turned to lock. 285/55-20s may take that space up. Just because you're lifting it doesn't mean your wheel well is getting larger, you're just reducing the amount of overlap between two circles. I would measure the clearance on the inside of the wheel well with the OEM 255/55-20 at lock, and then do the math against the larger diameter of the 285/55-20. Your tire will be 1.2" wider and 1.3" taller. go always taller than wider. Thanks to all for the sound advice! 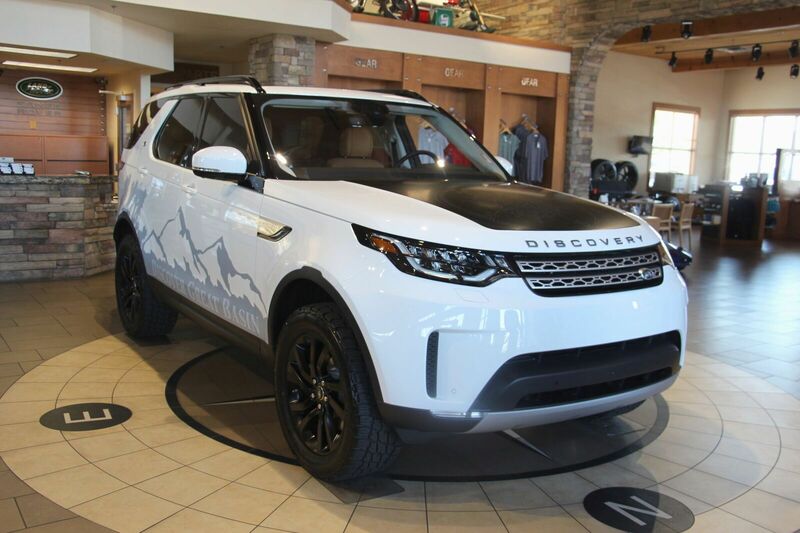 Land Rover Las Vegas offers the Discovery configured with Johnson Rods and equipped with 285/50-20 tires, which have the same section width as 285/55-20s. 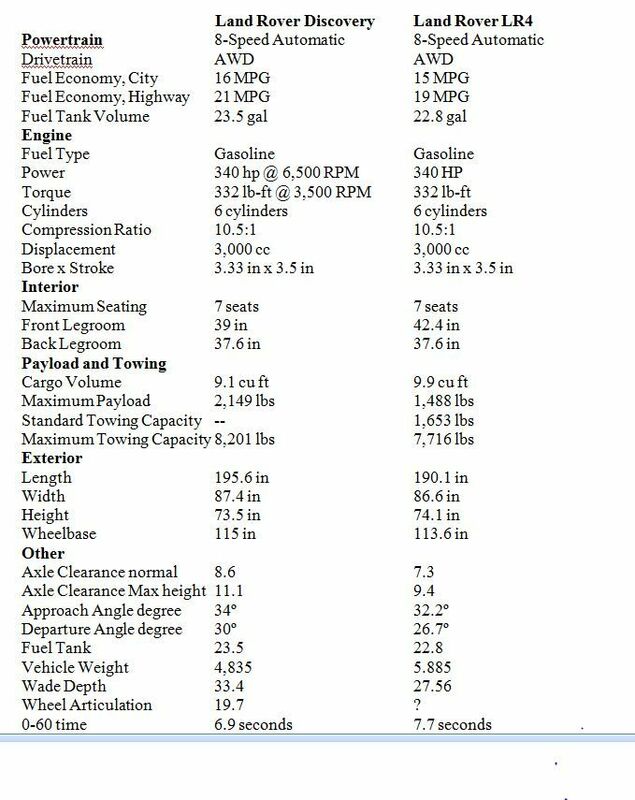 I agree with SafariDave that taller is better than wider and will opt for 275/55-20s over 285-50/20s if clearance would be a problem with 285/55-20s. And, considering Stef.an's observation regarding rock chips, I'll have the Land Rover mud flaps installed at the same time. Hi ar077, in the end what was your final decision? When the time comes (i.e., when the excellent stock tires have enough wear on them that I can justify [or at least rationalize] replacing them) I'll have Johnson Rods installed along with 285/50R20 Nitto Terra Grappler G2s. Saw a New Disco so-equipped in the dealership today (all black with black interior and black wheels). Looks absolutely spectacular! It would be nice to live in a country that allows you to do just about anything to a vehicle. The United Nations Vehicle Regulations sets very high testing standards for any vehicle fitted with Electronic Stability Control (ESC) like the Disco 5. Therefore, we are not allow to make any modification to a vehicle that may affect the handling and therefore affect the ESC system. So we cannot fit different tyres to standard unless the tyre manufacturer is prepared to specify that the tyre will have no affect on the ESC system of the vehicle you are fitting them to. Of course no tyre manufacturer is prepared to make such a statement. Bugga! Would you not even be permitted to install off-road suitable tyres of the same size as the stock tyres? Such a rule here would have been a deal breaker for me. I'm so glad to be in a country that isn't under the thumb of the East River Debating Society. As with the US, cars have to conform to certain standards in order to be sold in the country. The difference is that we have to maintain the compliance throughout the life of the vehicle. We are allowed a number of modifications without certification, others require a engineer to approve. For example we can do a 2 inch lift, 2 inch bigger tyres, bullbar, winches, etc, to non-ESC vehicles without certification, but to go larger than these require a engineer to certify the car as remaining compliant. It is just with ESC there are many tests that a vehicle manufacturer must complete to get the car certified in the first place, so it is difficult to say what modifications would affect certification. So they simply do a catch all statement that states that you cannot do any modification to an ESC vehicle that may affect the ESC system without a certificate from the manufacturer of the part or vehicle stating that it will not interfere with it. So the simply answer is that you do not get a ESC vehicle if you want to modify it for off-road. You can fit a 285-50-20 as below in the first picture or a 275-55-20 which is about 32 inches as shown in the second picture. 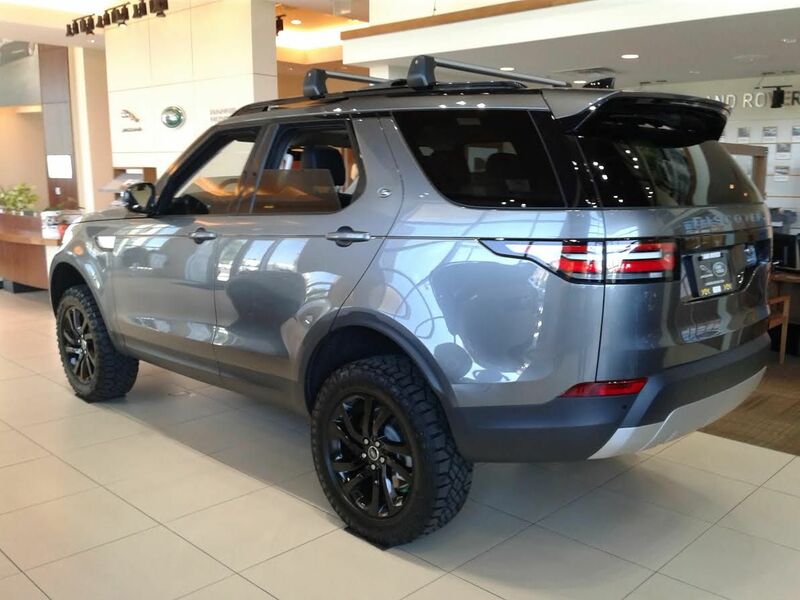 Many of the Land Rover dealers are using Johnson Rods with the 275-55-20 mud tire. They seem to sell faster with the lift. Here are the specs for the Discovery 5. The ground clearance, approach and departure angle are better than the LR4. Add a 1.5 inch Johnson Rod lift and it gets better, plus 275-55-20 MT tires and you are trail ready. Here is another Discovery 5 with a 1.5 inch Johnson Rod lift and 275-55-50 mud terrain tires. Dealer showroom! Thanks for the photos! Judging from the ample clearance around 285/50-20s or 275/55-20s with Johnson Rods, I'm leaning toward installing LT285/55-20 Nitto Terra Grappler G2s.